New York City Mayor Bill de Blasio has flown to Hamburg, Germany to protest the meeting of President Donald Trump with other world leaders at Friday’s G20 summit. His decision to skip off comes one day after a police officer was murdered in the Bronx, and it also meant he missed a swearing in ceremony for 524 new NYPD recruits in order to catch his flight. The rally, which translates into “Hamburg Shows Attitude,” is in protest against a range of world leaders descending on the city, which includes Trump, Russian President Vladimir Putin, Chinese President Xi Jinping, and Turkish President Recep Tayyip Erdogan. New York State Assemblywoman Nicole Malliotakis, who will run as the Republican candidate against de Blasio in November’s mayoral election, slammed the mayor for prioritizing his opposal to the Trump administration over more pressing issues back home. 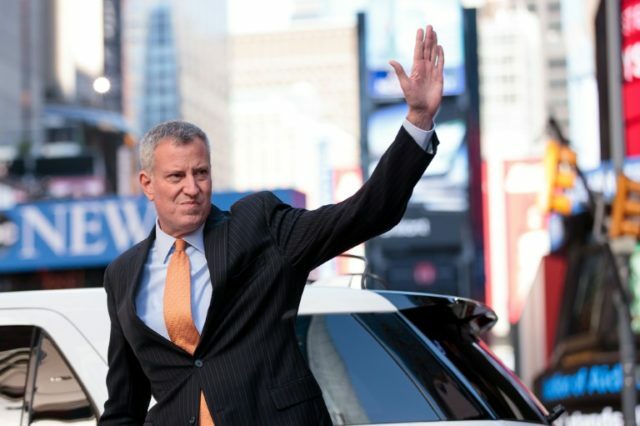 The cost of de Blasio’s visit is being covered by the organizers of the rally, mayoral spokesman Eric Phillips said, who is also accompanying him on the trip. A report this week by the Department of Homeless Services also found that the homeless population in New York City increased by nearly 40 percent in 2017, rising from 2,794 in February 2016 to 3,892 in February 2017.